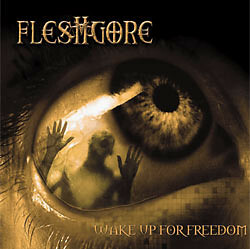 Ukranian metallers FLESHGORE have just released their new album entitled "Wake Up For Freedom" in Germany through 666records and in Ukraine via Moon Records. The CD contains 11 tracks / 33 minutes of extreme metal madness. For more information, visit www.fleshgore.com.